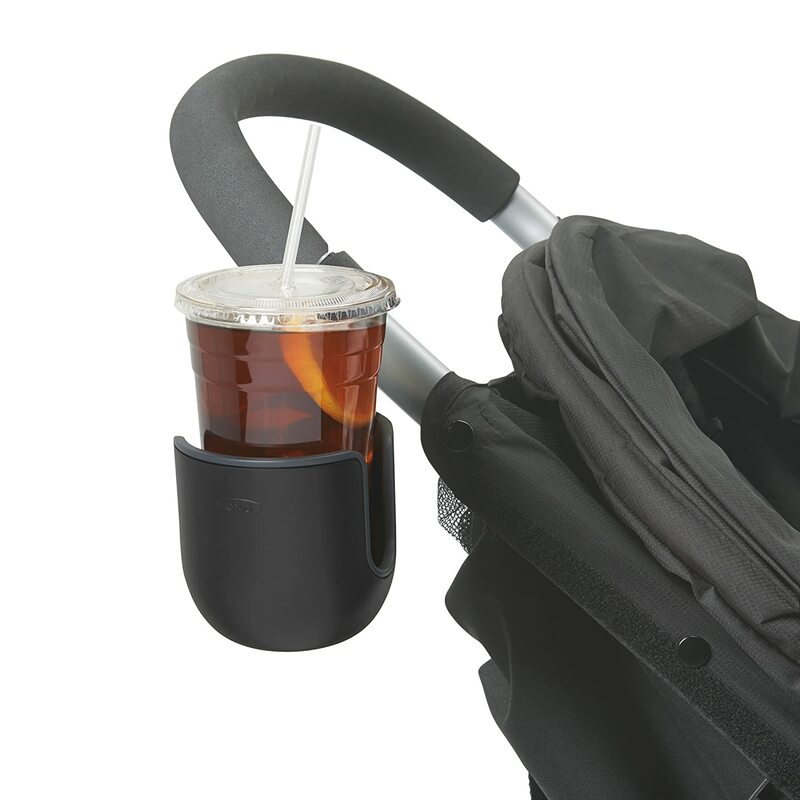 The OXO Tot Universal Cup Holder attaches securely to any stroller for convenient cup storage. 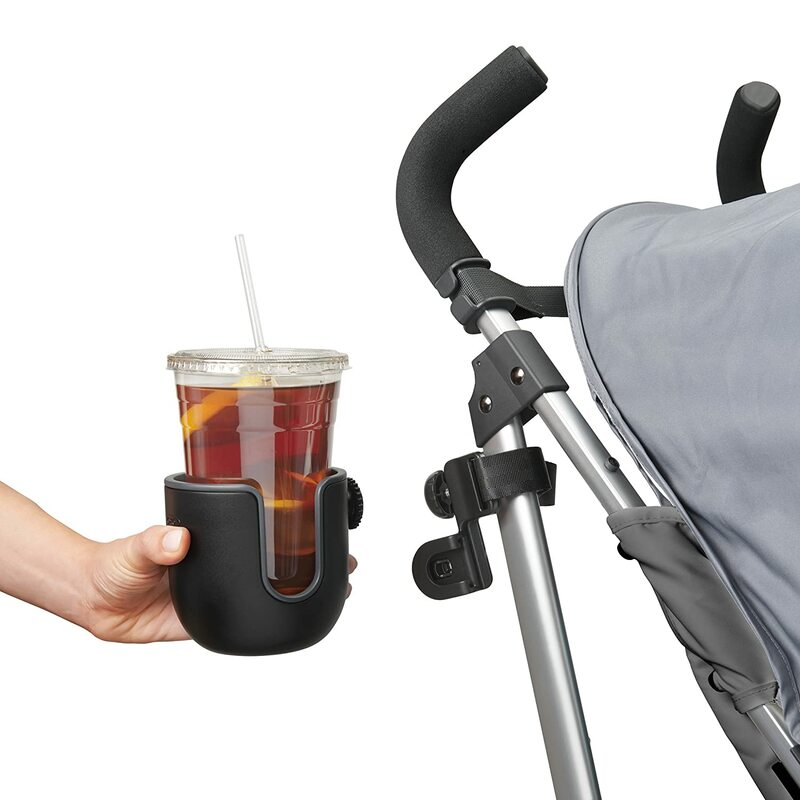 The Cup Holder can attach to vertical, horizontal or angled stroller bars and a quick-release button easily detaches the Cup Holder. 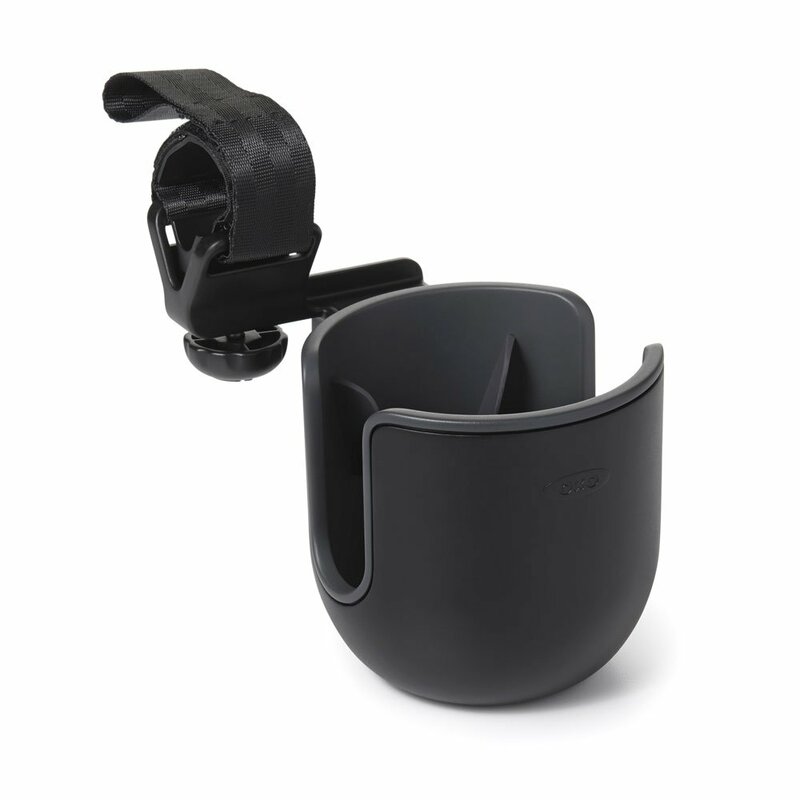 Open sides accommodate cups with handles and the Holder is designed to prevent tipping when it's bumped. 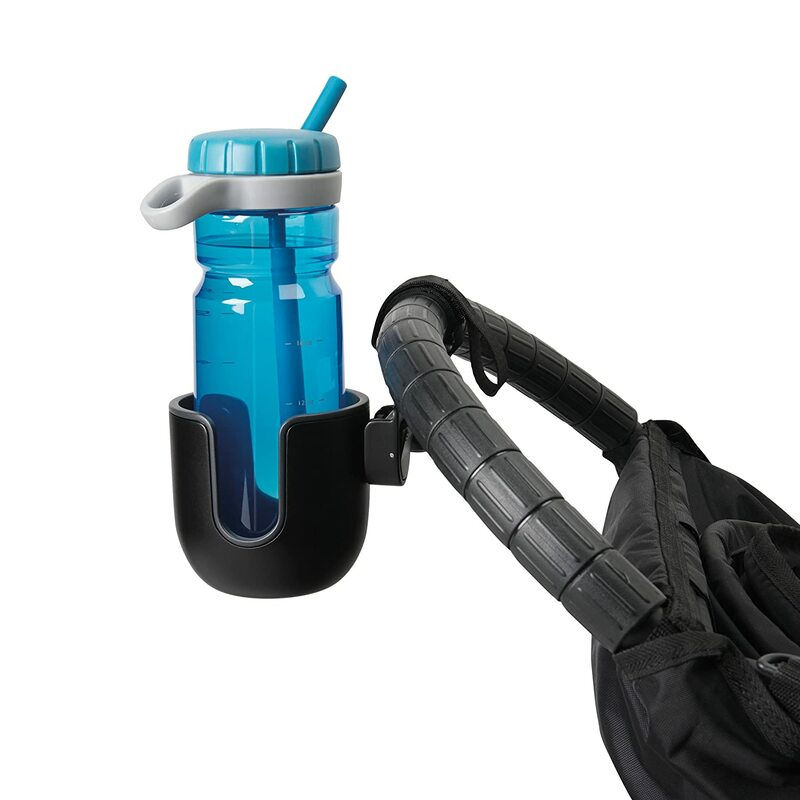 The Cup Holder is also great for golf carts, bicycles, boats and shopping carts! 1. Align base with strap so non-slip pad is against pole. Ensure opening for strap is parallel with pole. Ensure slot is not facing down. 2. Loop strap around pole and push through opening. Pull tight and fasten around pole. 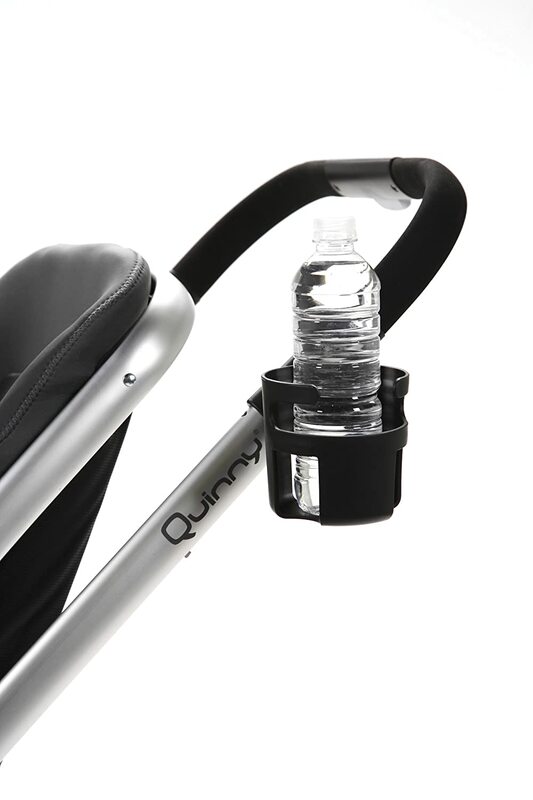 NOTE: Ensure Cup Holder position doesn’t prevent stroller from folding properly. 3. Twist dial until end of screw touches pole. 4. 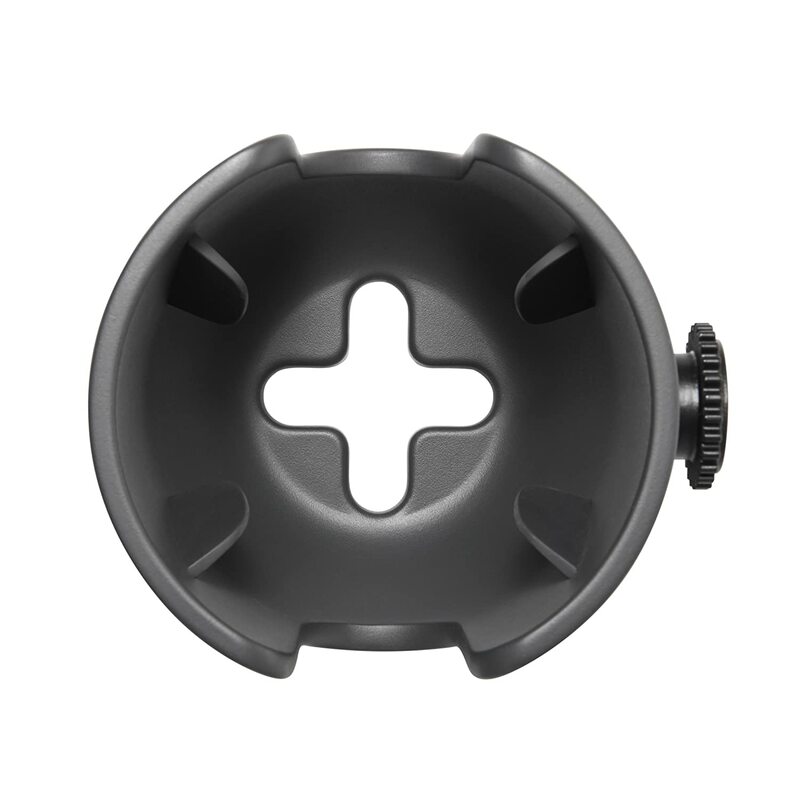 Slide knob on Cup Holder into slot on base until you hear a “click”. 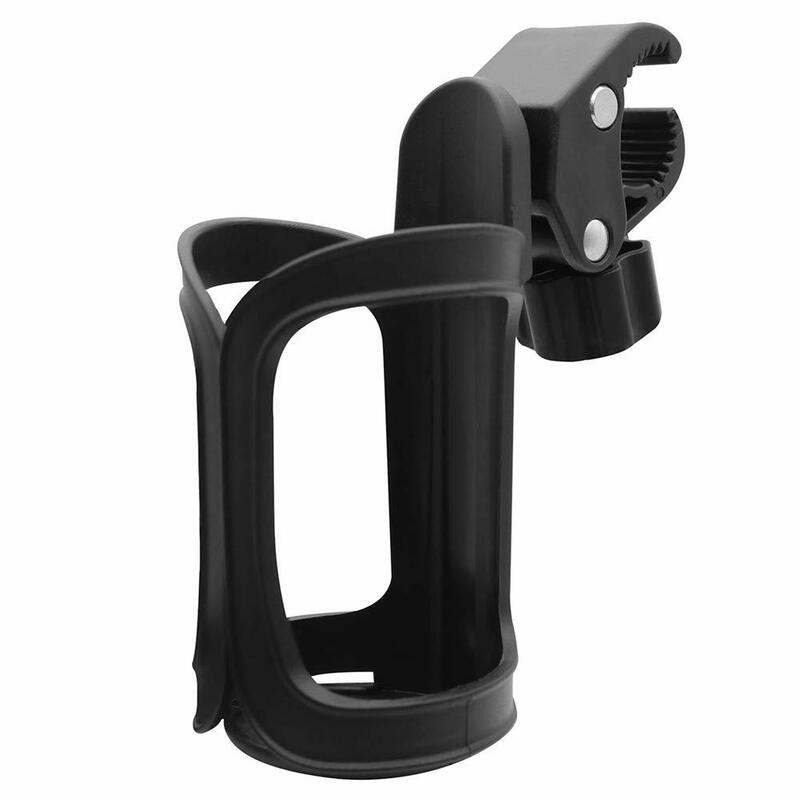 Turn Cup Holder to adjust to upright position. 5. 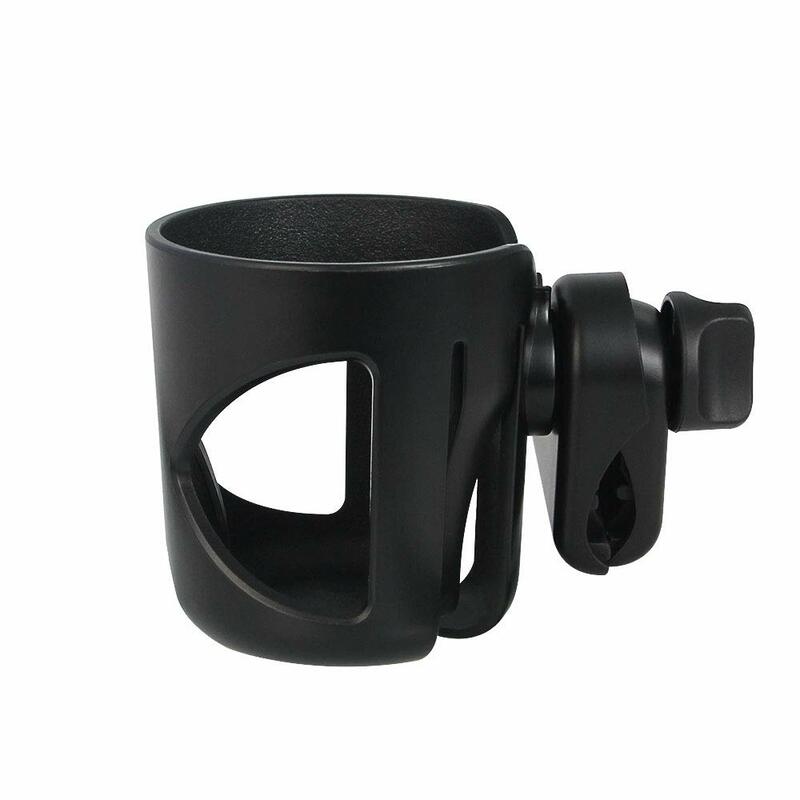 Push quick-release button on base and pull Cup Holder up to remove for narrow spaces. I love this cup holder. It is easy to install, very secure and most importantly my beloved Starbucks drinks fit perfectly. 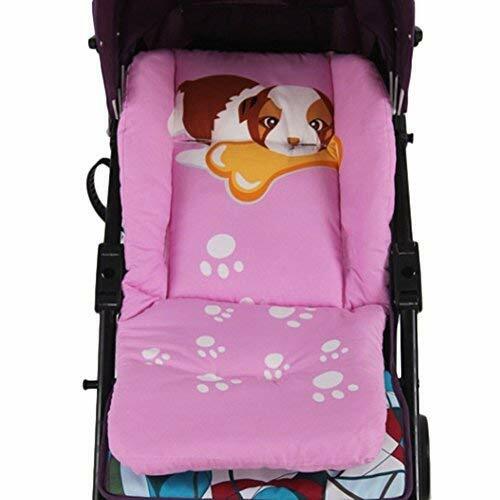 It fits our Mutsy stroller, which is kind of a rare brand. Many reviewers complain that it tilts and falls off but mine doesn't even if I put a heavy stainless bottle with water in it. I think there is something to do with their installation. 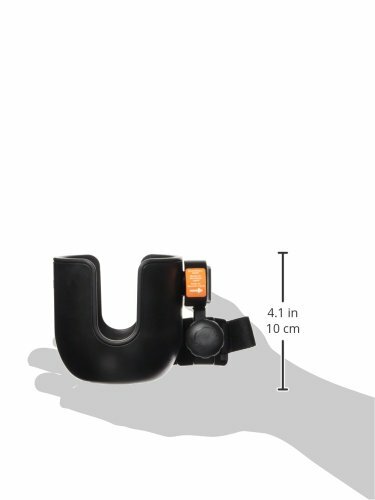 When I first installed it, it was wobbly too but I figured the I had to adjust the angle of the holder until release button clicks. Glad I bought this. 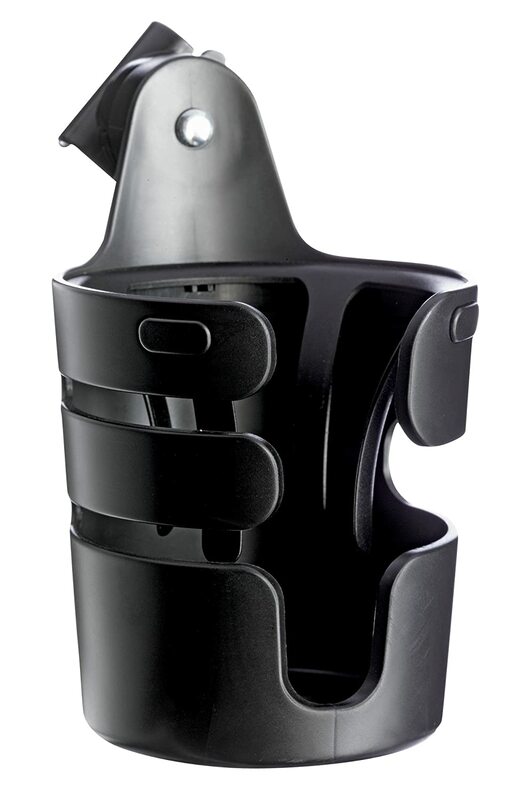 I use a walker/ rollator and needed something to hold my iced coffee when I was walking outdoors. 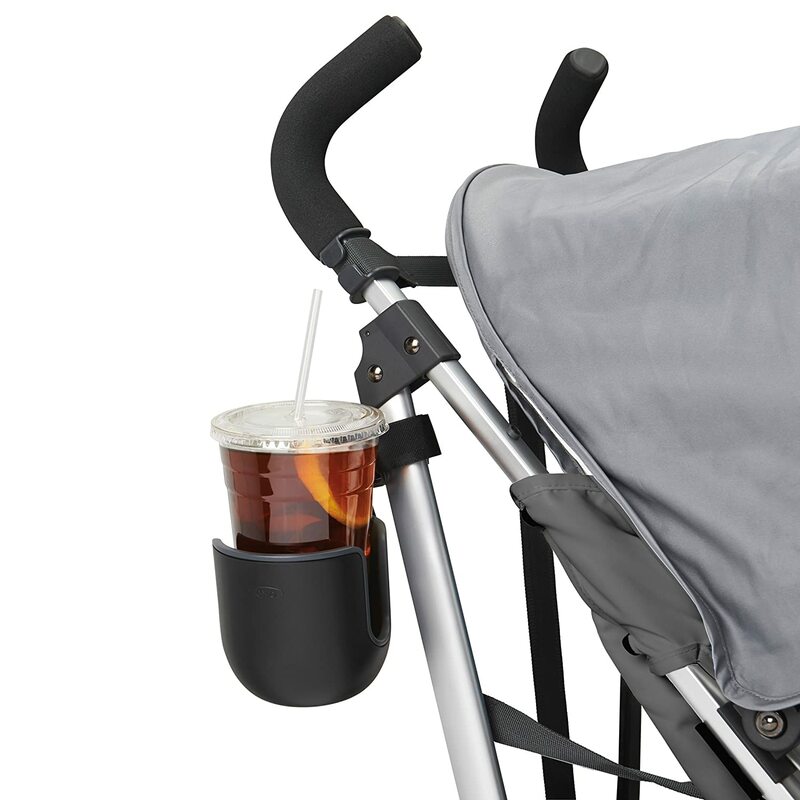 The OXO cup holder fits the walker perfectly. 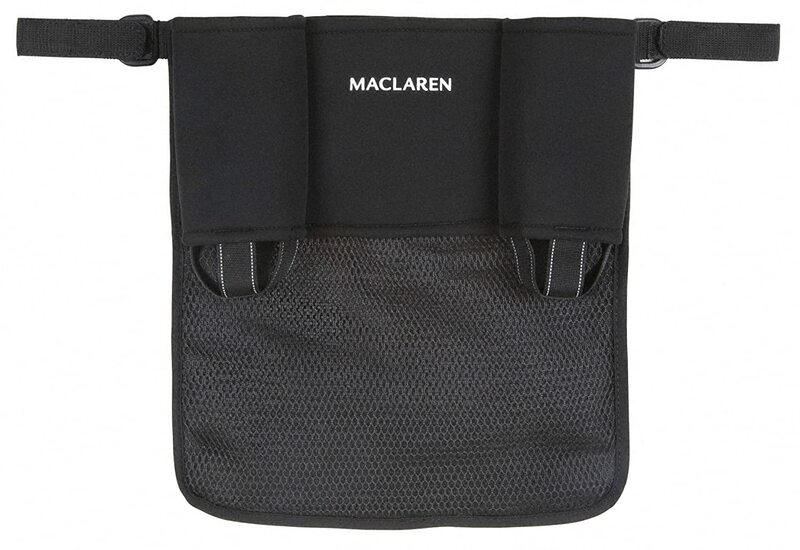 It's easy to install, though you need to pull the Velcro strap as much as you can to ensure the holder stays in place. Then it has a screw knob so you can tighten against the rollator pole. It fits all size cups from the little plastic one that you get at the water cooler, water bottles, large soda / coffee cups. Tried the ones from McD's and DD's they both fit fine. One thing to note if your item is heavy it does tip slightly. 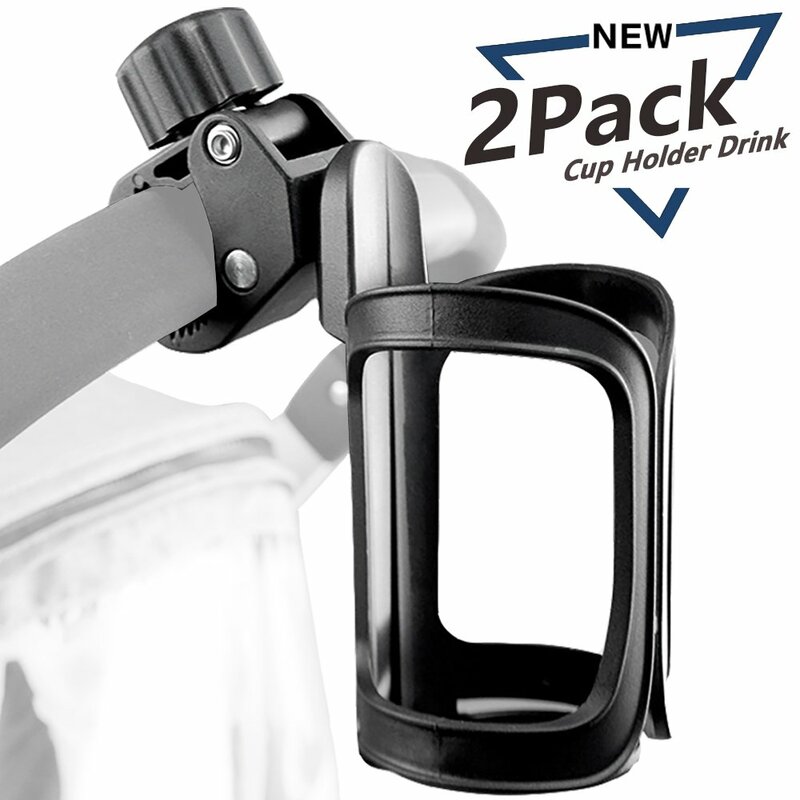 So I take a couple of sips of my beverage before placing in the holder. If it didn't have this issue I would have given this 5 stars. 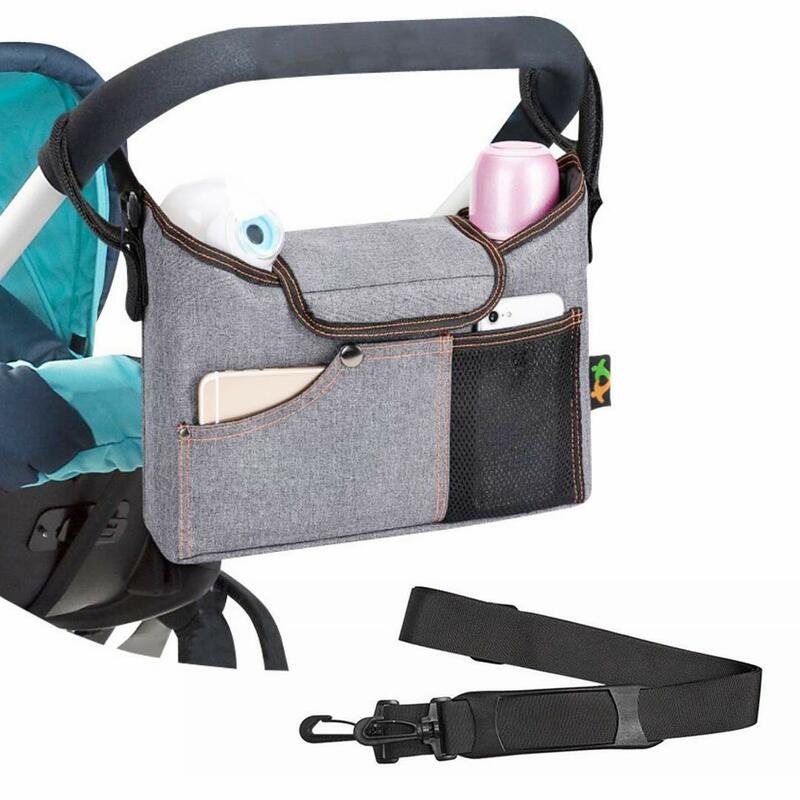 It works on the uppababy vista, but you have to adjust it (tighten) for each use if you keep it on the side like I do and fold the stroller/pull it in and out of the car a lot , it needs to sit near the levelers for folding, but you can still keep it there and fold. Pretty much the only decent cupholder available for side use if you have a kid using the kick board. I drink 8oz coffees, my husband 12 oz and it holds both securely. Im not sure I would put a giant coffee or tall water bottle in there though, I just keep those in the under basket pockets anyway. 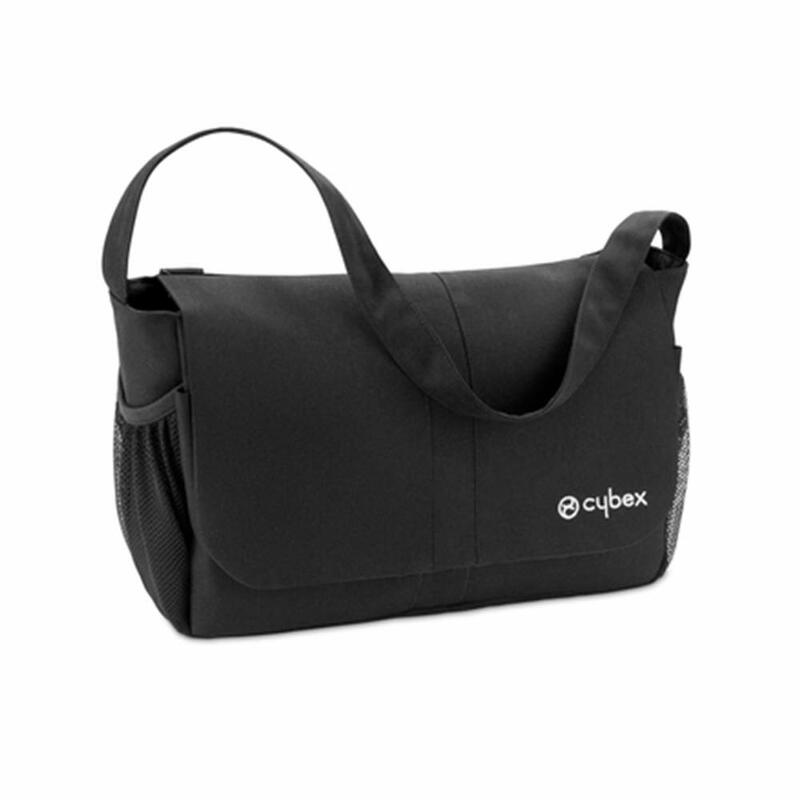 Perfect for my Drive iwalker rollator. 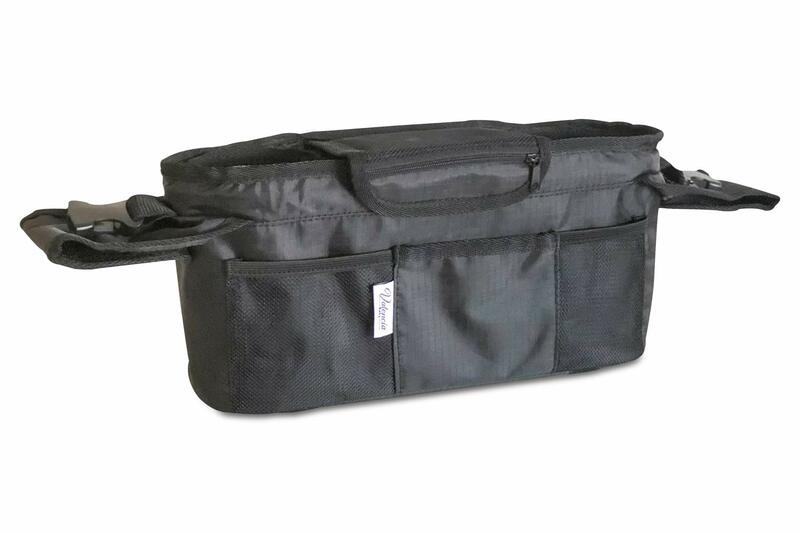 Adjustable strap fits easily around different sizes and shapes of framing. 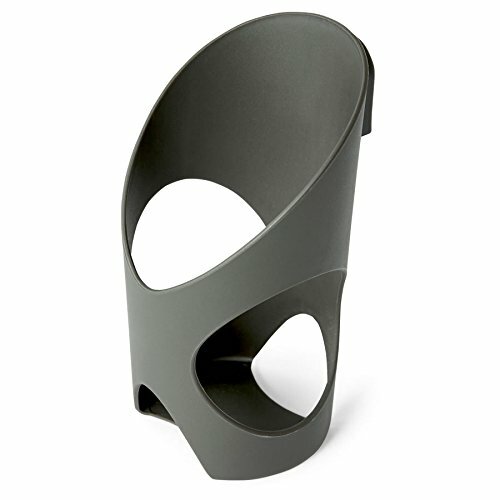 If you need an extra cup holder for a temporary situation, get this one. 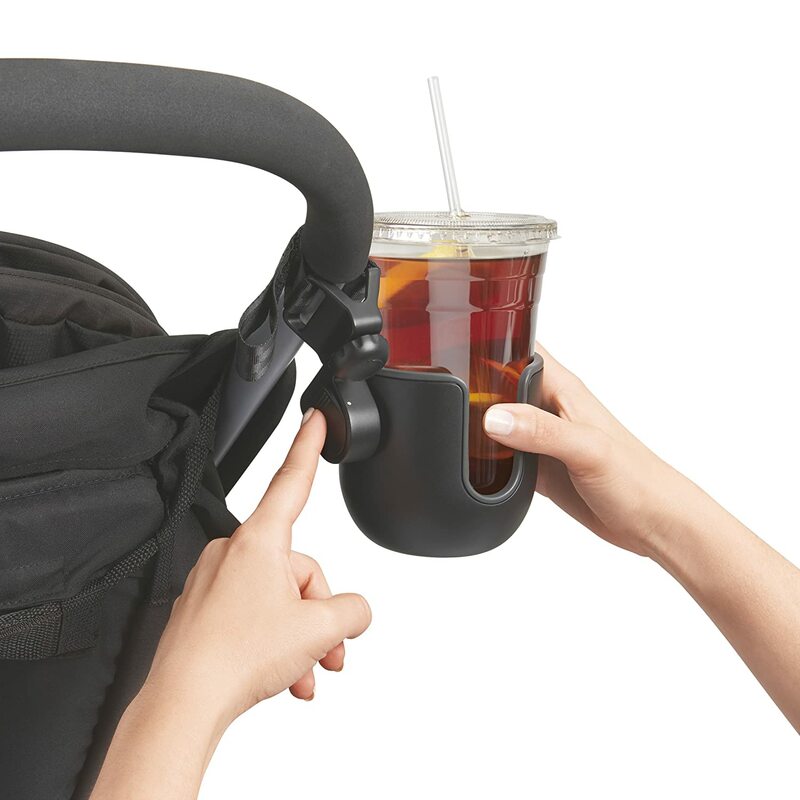 My 4 year old managed to break it somehow while putting a drink into it when it was attached to the frame of my Baby Jogger City Select stroller. 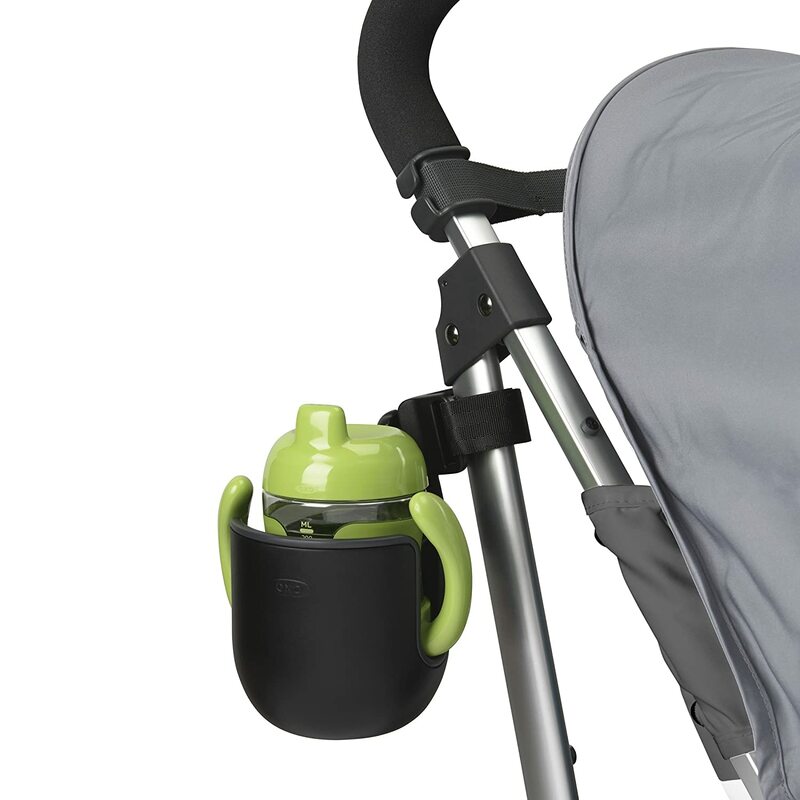 One star for ease of installation and one star for universality of strollers and cup types. Minus three stars for lack of durability. It lasted a few weeks. I wish I could return it but it's too late. 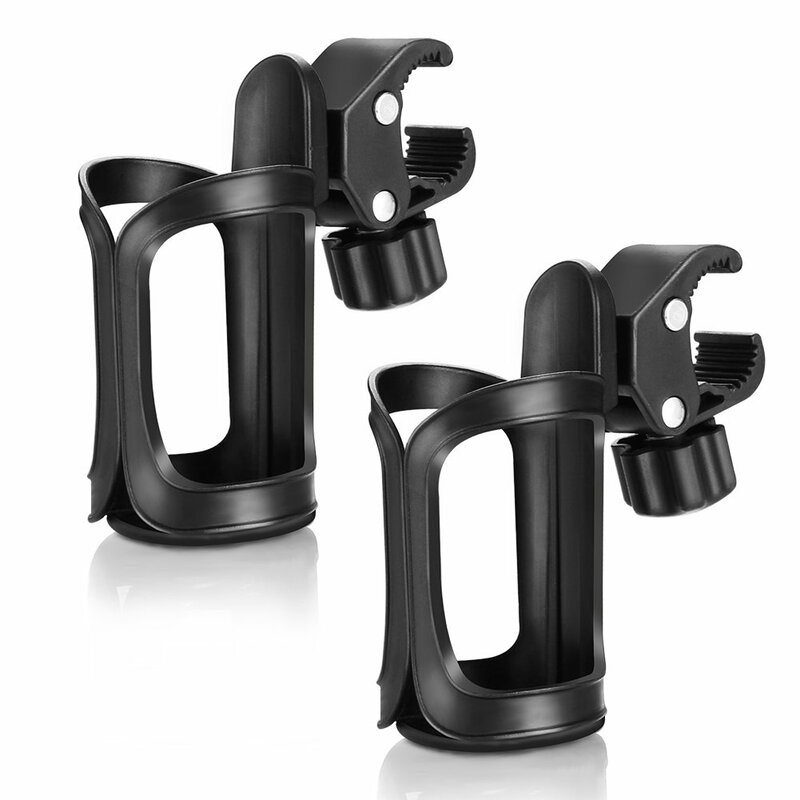 It does not hold any of our liquids and spills everything -- might be the only thing by OXO I've ever purchased that i've hated. I normally find their products to be really great and practical.